The Del Sol 25" Gas Grill feature 304 series stainless steel exteriors and are designed to deliver functional convenience and quality to the modern outdoor kitchen. 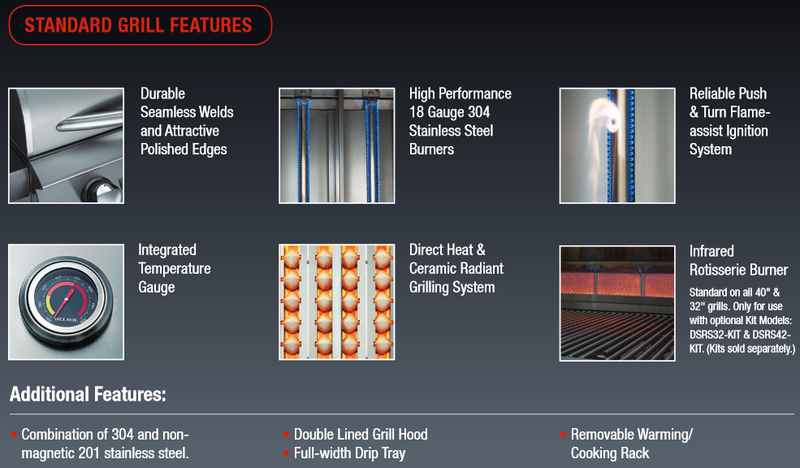 These Grills and Accessories will make a complete outdoor kitchen with out breaking the bank. Before Twin eagles ships out your grill, they take test fire and run every grill thru their quality control department. DelSol Grills are well built with a reinforced welded hood that is solid; polished edges, ceramic briquettes and a flame thrower pilot ignition system.